Happy Friday everyone! Did you happen bike to work today? 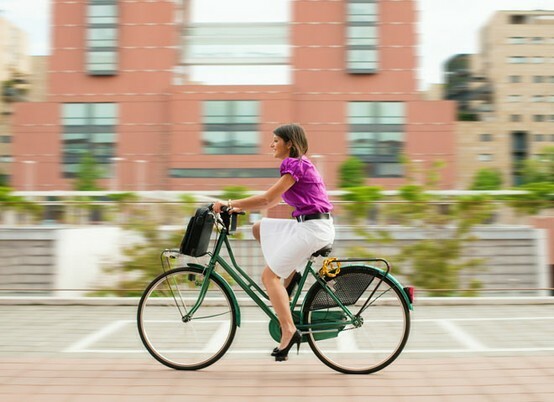 It’s national “Bike to Work Day” – and actually May is “Bike to Work Month” ! We’re lucky to live in an area where commuting via bike is fairly feasible, but we know how easy it can be to make excuses not to. 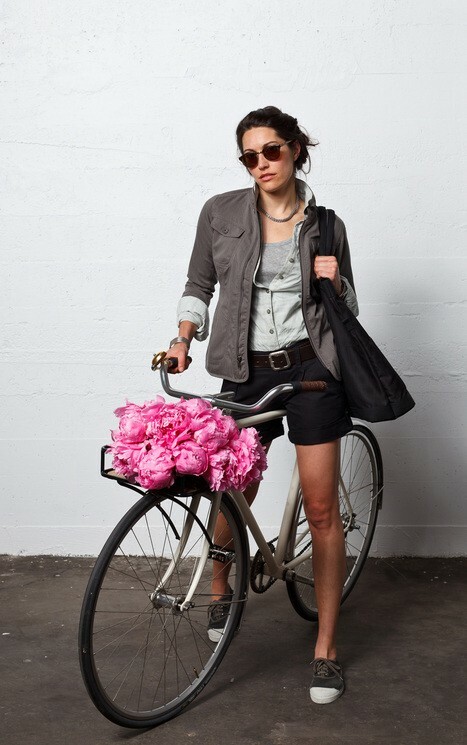 We loved these pics of ladies making biking look so fun and invigorating. Can’t you feel the fresh morning breeze on your face already? Be sure to bring a hairbrush for when you get to your desk! 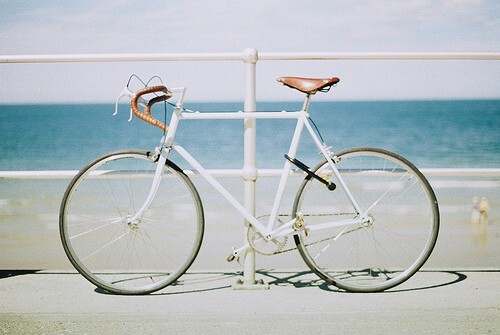 I adore my beach cruiser, but it has no gears. Biking to work would be a nightmare – I’d never get there!! These pics are fun. The kelly green bike is beautiful!! I wish it was that easy in heels and I’m sure you look great on your bike! Always wear a headband. Usually from Halo. Let everyone see it. It keeps your hair from flying. Everyone can see the top of your head and your hair and you always look good. 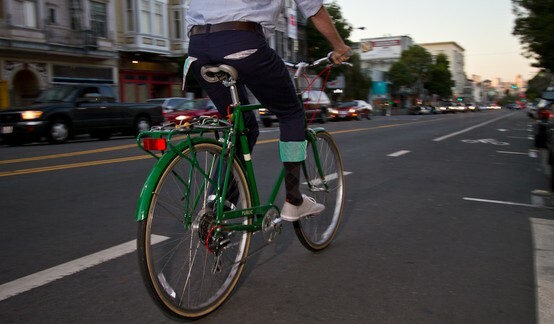 My Teen daughter also wears one when she bikes in downtown San Francisco she wears a white headband. In the summer she either wears that or a beach hat.